Getting blog traffic is a big challenge for most bloggers. A blog without traffic is as good as dead because without traffic you will earn nothing from your blog. 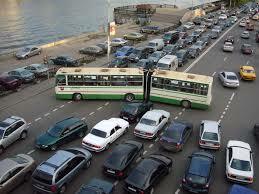 Getting traffic to your blog is not an easy task and it becomes more difficult if you are new to blogging. There are several ways you can promote a blog. You can promote your blog by guest posting on similar blogs, commenting on other blogs and with the use of social media platforms. Today I will be sharing with you on how to promote your blog using blog communities. 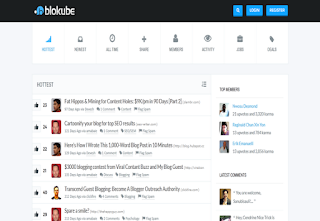 Blogging communities basically are like social network for bloggers. These communities provide bloggers the opportunity to come together, interact, engage, build relationship and share their content to generate more traffic for their blogs. Blogging communities can help you grow as a blogger especially if you are new to blogging because you will get to meet other experienced bloggers there, learn about new topics for your blog and drive more blog readers to your blog. 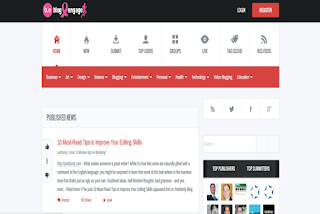 Below are 6 top blogging communities, I recommend you join any of them to promote your blog. BlogEngage is a very popular blog community with huge members and this community is growing by the day. This is the best place you get the opportunity to interact with top bloggers in your niche. BlogEngage is a premium blog community that you will have to pay about £9.99 for a standard account. 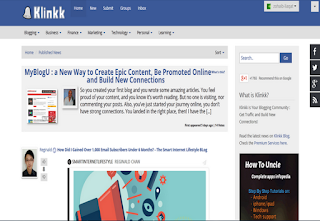 Klinkk is founded by Erik Emmanuel and is a big community you can use to get more blog traffic. It’s not free to use and you need to pay about $5 per month for a professional plan before you can submit your blog post and let others vote your content. Inbound is another big blogging community with thousands of active users that are ready to vote any good blog post. 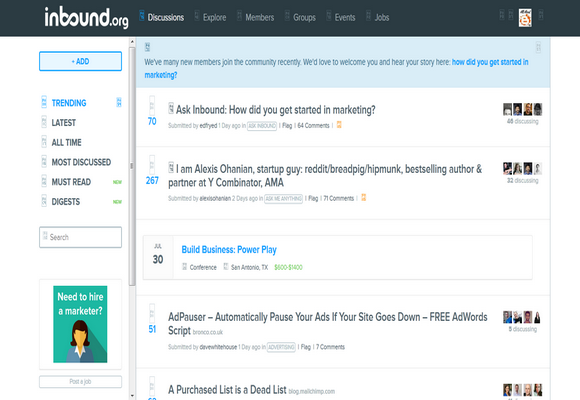 You need to get more votes to your blog post to make your post get to the front page of inbound for more exposure. Join the discussions there, contribute and get more votes to generate traffic for your blog. This is another blogging community to share your blog post for traffic. Register with them to get started. 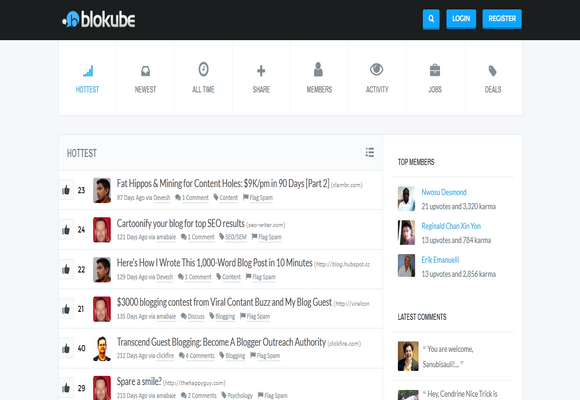 Contribute and interact with other bloggers for more exposure and traffic. 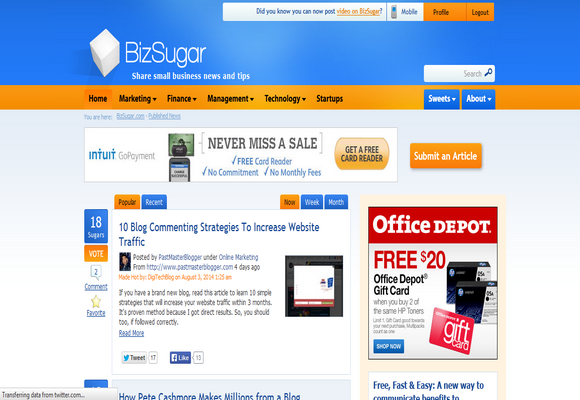 BizSugar is one blog community I like a lot; it’s one of the oldest communities widely used by bloggers from different countries. 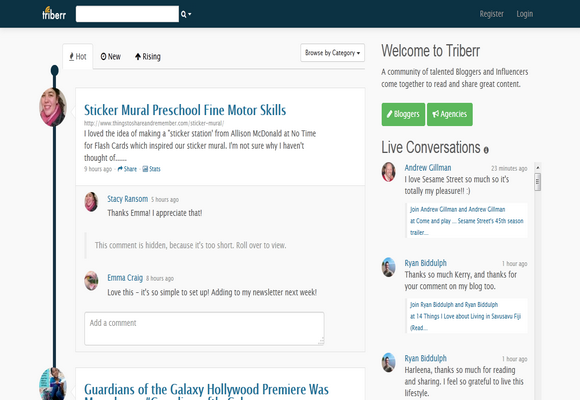 Join the community and start sharing your blog post for traffic. 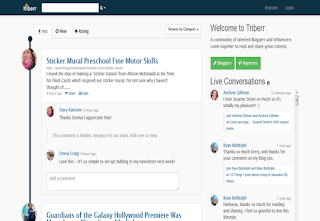 Triberr is a great blog community to sign up and become a member. 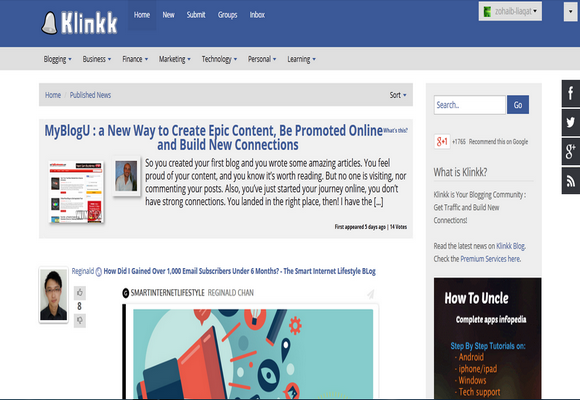 Am a member of this community too and it’s a great place to share your blog post for traffic. Join the community, share other bloggers content, interact with them and drive traffic to your blog. Joining blog communities is a free and easy way to promote your blog for more traffic. So, join any of the above listed community and promote your blog. Hope you enjoy this article? I know you do but don’t read alone. Share this post with your social media friends using the share button below and also use the comment box for questions and contributions. Thanks for the post...i will also try out the one you've done let me see how it will turn out to help. Thanks for the post, i have never heard of these sites before, glad you introduced and will check them out.